﻿Eric Mathis and the team at anima: the Center for Worship and the Arts are committed to training the next generation of worship leaders. Based in Samford’s School of the Arts, anima is in its fourth year and provides an innovative approach to training young worship leaders. With grant funding through the C.I.O.S Foundation and the Lilly Endowment, anima focuses on engaging teenagers in the life of the church through worship leadership. The cornerstone of anima is Animate, a five-day summer program in worship leadership for teenagers and their adult mentors on the Samford campus in June. Not only does Animate employ Samford students and employees, but it has also been the catalyst for students to enroll at Samford. Beyond Animate, anima maintains a repository of online resources for teaching about worship. This includes an online certificate in worship leadership in partnership with Samford’s Ministry Training Institute. Anima also provides unique mentoring opportunities for Samford students to study worship. These opportunities include bringing leading voices in worship leadership to campus each semester, as well as providing opportunities for students to participate in national worship conferences. 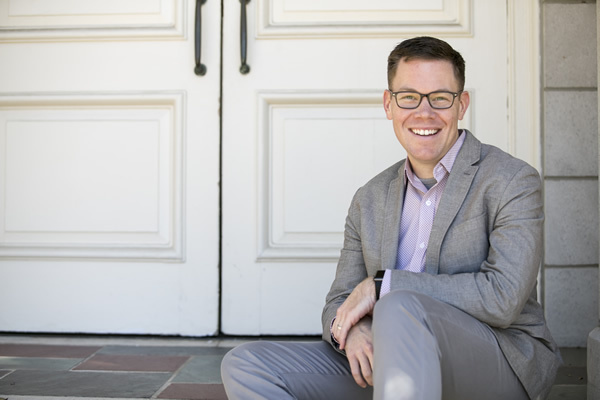 The program has gained significant traction nationally, and Mathis is becoming a leading figure in the discussion about teenage worship leadership. He recently participated in Faith in 3D in Orlando, Florida, the Calvin Institute of Christian Worship’s Annual Worship Symposium, and will be a theologian in residence at the Princeton Theological Seminary’s Institute for Youth Ministry in April. For more information on anima and how to register for Animate, go to anima@samford.edu.